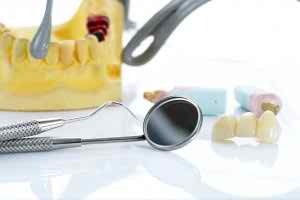 Root canals are performed on teeth suffering from root infections within the teeth themselves, rather than in the gums. It’s important to see the signs of infection before heading into the dentist’s office, though not all of these signs are obvious, and would have to be checked on in the dentist’s office regardless. However, there are some warning signals you can look out for. The earlier you catch the signs of infection, the easier and less painful the surgery and recovery will be. Some risk factors for infection include recent facial trauma, chipped or cracked teeth, the presence of large fillings, or too many dental procedures on one tooth. Frequent and repeated toothaches while eating may be a sign of root infections. In this case, it could be that the deep root nerves in your teeth are inflamed, and react abnormally to pressure. You should give your Nashua dentist a call if you notice that chewing induces sharp pain deep in the gums. When your teeth are exposed to extreme temperatures in foods, a bit of root freeze or root burn is natural to feel at first. However, if this sensitivity is staying around long after you’ve eaten the food, it may be a sign of an infection. The color of the dentin (main tooth tissue) may especially darken compared to your other teeth in the presence of infection. This is a fairly serious symptom; if you notice one of your teeth growing especially darker, call Dr. Ahmed as soon as possible. This can be a root or pulp infection or even a periodontal (gum) infection. Either way, if you notice that your gums are swollen or tender, regardless of what it might be, you should talk to Dr. Ahmed as soon as possible. Pimples on the gums are another tell-tale sign of infection, though they are less urgent than swelling. If they recur often after they pop, or do not fully recover, it would be wise to schedule a checkup. Remember: sometimes root infections don’t have visible or noticeable symptoms, and it’s important to visit the dentist regularly so as to preemptively stop the infection before it develops into a painful abscess. Call us or make an appointment online to discuss a checkup with Dr. Ahmed and make sure you know the state of your teeth. Perhaps you wonder why it is important to come in for your bi-annual preventive check-up when you take such good care of your teeth at home. Isn’t the whole point of a quick oral examination to polish your teeth and determine if you have any cavities? The answer to that question is yes and no. Professional cleaning is important for the long-term health of your teeth, and Dr. Ahmed does need to routinely check for cavities. However, your twice-yearly appointment is about so much more than teeth cleaning. While she is busy looking for tooth decay, Dr. Ahmed also checks for gum disease and oral cancer. Spotting either of these conditions early gives you a much better chance of treating them successfully. If you normally wear a dental restoration, such as partial dentures or a dental bridge, Dr. Ahmed checks the condition of those as well. Patients with significant plaque and tartar build-up may need to return to Alpha Dental for additional treatment. Your dentist will let you know at your check-up if you are a good candidate for a procedure known as root planing and scaling. This can also be part of a treatment plan for gum disease. Your dental check-up usually includes a set of x-rays to help Dr. Ahmed spot anything out of the ordinary. This includes such things as deep tooth decay, cavities between teeth that may be hard to spot, infections, oral cysts, and impacted wisdom teeth. If your x-rays uncover a problem, Dr. Ahmed may refer you to another dental professional for additional treatment. Even when you brush and floss your teeth twice a day and come in for regular preventive teeth cleaning, your smile may not be as bright as you would like. If not, consider our affordable dental cleaning package that you can use at home. Our staff would be happy to provide additional details by phone or at your next appointment. Patients who feel dissatisfied with some aspect of their smile often ask Dr. Saeed Ahmed at Alpha Dental, “What is cosmetic dentistry?” They may have a specific procedure in mind, but often don’t understand this dental discipline as a whole. Cosmetic dentistry is any voluntary procedure that you undertake for the primary purpose of improving your appearance. Our clinic is pleased to offer several options for your consideration. Below is a list of the services we offer to improve your aesthetics. Clear Connect Braces: These invisible braces are an excellent alternative to typical orthodontic treatment with metal wires and brackets. With Clear Connect, you wear clear plastic aligners that you swap out at an interval Dr. Ahmed determines during your initial treatment planning. Besides the discrete appearance, having your teeth straightened with Clear Connect generally takes less time than with metal braces. Composite Fillings: Unlike traditional filling material made of mercury, these types of fillings are white and blend in better because they match the shade of your teeth. Another benefit is that you don’t have to worry about the small chance of a mercury filling breaking free and causing an infection in your mouth. Dental Crowns: A crown or a cap goes over a tooth to provide additional support when it has been weakened by tooth decay or any number of dental diseases. It also helps to conceal slight blemishes of the teeth such as a stain or a crack. Fixed Dental Bridges: A dental bridge is a permanent option to replace a single tooth or several teeth in a row that are missing. Dr. Ahmed places brackets behind the teeth on either side of the missing tooth to act as support for the new dental bridge. Porcelain Veneers: A dental veneer is a wafer-thin piece of ceramic that Dr. Ahmed affixes to the front of your tooth to disguise gaps, stains, chips, and other cosmetic issues. He sometimes needs to remove up to an eighth of a millimeter of tooth enamel to give the porcelain veneer a snug fit. Teeth Whitening: Your lifestyle habits, such as smoking, drinking coffee, or eating dark-colored foods, can all have a lasting effect on your teeth. You can brighten the shade of your teeth by several times with professional teeth whitening. During this procedure, Dr. Ahmed places a tray of whitening gel on your top and bottom rows of teeth that brighten them at a deep level. We encourage you to schedule an in-office consultation to learn more about the specific cosmetic dentistry procedure that interests you. Although your permanent teeth are a bright white color when they first come in, they tend to darken in color over time. By the time you’re a young or middle-aged adult, they may take on a yellow or gray appearance. Brushing your teeth with baking soda and lemon once a week. It’s important not to use this combination more frequently as it could wear away tooth enamel. When used properly, baking soda mixed with lemon can help your teeth be a slightly whiter shade. Drink coffee, tea, wine, or soda with a straw to prevent direct exposure to caffeine or dark colors. However, this isn’t always possible due to the temperature or beverages or a straw not being available. Eat more crunchy fruits and vegetables to remove excess bacteria and food from your teeth. Celery, apples, and carrots in particular can help keep your teeth whiter for longer. Make it a point to floss your teeth twice a day. While most people are great about brushing their teeth that often, they tend to forget about flossing. According to the American Dental Association, flossing is even more important than brushing because it removes the bacteria that can cause decay and discoloration. Dr. Saeed Ahmed of Alpha Dental is pleased to offer his patients the ZOOM! professional teeth whitening option. In just two appointments, you can see results that are up to eight times brighter than your current shade. At the first session, Dr. Ahmed takes measurements of your upper and lower rows of teeth so our laboratory can create customized mouth trays. When they are ready, we contact you to come in for a second appointment. This session lasts approximately 45 minutes while you sit with the bleaching gel in each of the mouth trays. The major benefit of professional teeth cleaning is that it cleans your teeth beyond the top layer of enamel. This is due to the reaction between silica molecules and the chemicals present in the solution. With home remedies, the best you can hope for is a slight color improvement at the surface level of your teeth. If it seems like you have tried every home remedy imaginable, it may be time for ZOOM! teeth whitening at Alpha Dental. Please contact us with additional questions or to schedule your first appointment. Ceramic Fillings: Porcelain is the main component of these types of fillings. Although ceramic fillings are typically more expensive than all but gold fillings, they are durable and aesthetically pleasing. One downside is that they are more brittle and bulky so your dentist must reduce the tooth size to fit them comfortably. Fillings made from ceramic are highly resistant to staining. Glass Ionomers: The ingredients in this filling type include glass and acrylic. Longevity averages five years, which makes them the least durable of all filling materials. Glass ionomers are most appropriate for children whose teeth are still growing and changing. One major advantage is that they release fluoride to protect the tooth against further decay. Gold: Gold fillings are not common because they are much more expensive and difficult to place. One benefit is that gold is non-abrasive when used as a dental filling. Silver Amalgam: This is the most popular type of dental filling. It contains a mixture of mercury, copper, zinc, tin, and silver. However, mercury accounts for at least half of the total mixture. 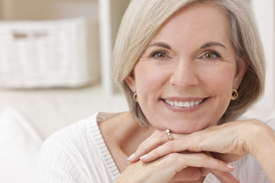 Silver amalgam fillings are durable and can last for decades with proper care. They have fallen out of favor with patients in recent years due to not being aesthetically pleasing and concern about the mercury breaking free and causing an infection. This situation is extremely rare. Composite fillings, also called tooth colored, are extremely popular with patients for good reason. Of all filling types, they match the shade of your teeth most closely. This allows you to disguise the fact that you have cavities at all. The primary materials are resin and plastic. Since Dr. Ahmed use a curing light when placing a composite filling, it hardens almost immediately. 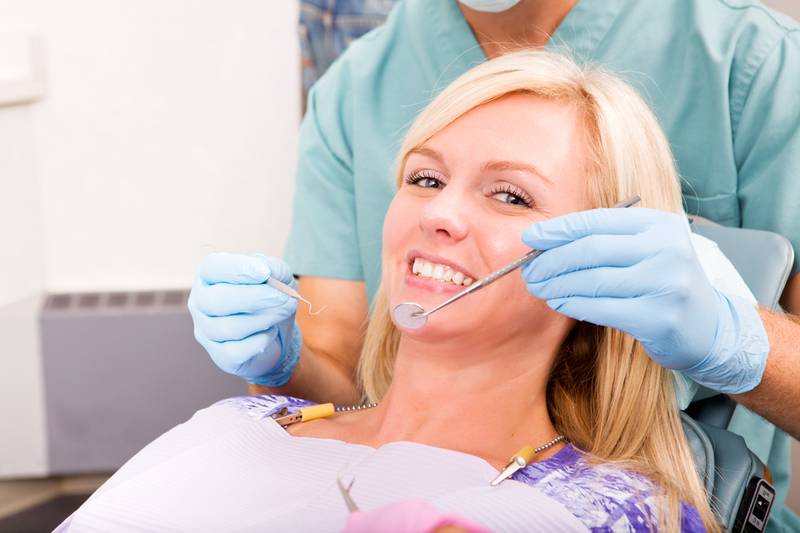 You typically have to wait up to several hours for other types of fillings to harden in place. Composite fillings help you feel more confident about your smile as well. With so many choices available, patients need more information about each option to make the right choice. We encourage you to ask questions of your dentist at Alpha Dental to ensure that you choose the right type of filling for your situation. The first step of the process is to complete an oral exam with Dr. Ahmed. Your dentist inspects your entire mouth to make sure that the area receiving the implant is strong enough to support it. In some cases, your dentist may need to remove bone from another area and place it in the implant area to strengthen it. This is called a bone graft. After the exam, Dr. Ahmed places small titanium rods called abutments. These act as replacement tooth roots. You then need to allow up to several months for your gums and jaw to heal before your dentist attaches the non-removable dentures. Getting dental implants sometimes requires several appointments so your dentist can check on the condition of the implant area. The process is complete once your new replacement teeth are in place. However, you need to come in for regular follow-up care. Dental implants allow Dr. Ahmed to replicate the shade of your remaining teeth. Dental implants won’t cause embarrassment by slipping out of place or falling out of your mouth. They also don’t require special cleaning. Having implants in place prevents your other teeth from shifting into the spots left empty by the missing teeth. Please contact Alpha Dental at your convenience to learn more about dental implants in addition to whether you are a good candidate to receive them. Many people feel dissatisfied with certain aspects of their smile, such as having a large gap between teeth, stained teeth, or misshapen teeth. If you can relate, you may feel hesitant to smile due to a fear of how others will perceive you. This response is often automatic and not something that people consciously choose to do. Fortunately, you do have the option of enhancing the appearance of your smile with an elective cosmetic dentistry procedure. 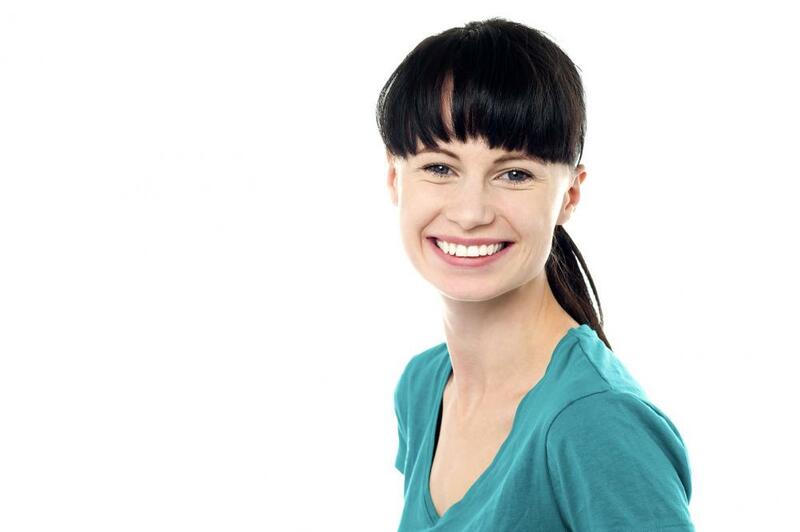 “What is cosmetic dentistry?” is a common question that we hear at Alpha Dental. Patients may have heard of certain procedures while not feeling certain of what the term means collectively. Cosmetic dentistry refers to any elective dental service for the primary reason of improving aesthetics. However, people also opt for a cosmetic dentistry procedure after losing or breaking a tooth in an accident. In this case, the procedure is reconstructive as well as cosmetic. Dr. Ahmed is pleased to offer several popular cosmetic dentistry procedures here at Alpha Dental. Teeth whitening is among the most requested service because it is a simple and non-invasive way to improve the brightness of your teeth and your overall appearance. When you have teeth whitening performed at our clinic, the first step is for us to prepare customized mouth trays. These trays hold a bleaching gel that can brighten the shade of your teeth by several times in under an hour. Composite Fillings: These clear tooth colored fillings protect your teeth from further decay while allowing you to remain discreet about your dental treatment. ClearCorrect Braces: Your dentist provides you with several clear plastic aligners that you switch at regular intervals throughout the course of your orthodontic treatment. Like composite fillings, this alternative to metal braces is clear and unnoticeable to others. Dental Crowns: These make an excellent option to provide support for weak teeth as well as to disguise cosmetic problems. Crowns constructed from porcelain tend to be the most durable and comfortable. Fixed Dental Bridges: A fixed dental bridge is a permanent attachment to conceal one or more missing teeth on the same arch. The teeth on either side of the missing tooth support the non-removable appliance. Porcelain Veneers: This procedure covers minor tooth imperfections with an extremely thin piece of ceramic affixed to the front of your tooth. Please contact Alpha Dental with additional questions or to request a personal consultation with one of our dentists. What Kinds of Braces Are There? Dental braces come in a few different forms, with a few different names. At Alpha Dental, we offer dental braces tailored to your preferences and needs. There are a more options other than the traditional metal braces that most people wear in their teens as well. When people come in for dental alignment, they often ask about what kinds of alignment treatment they can get. It begs the question, what kinds of braces are there? The bread and butter classic braces, metal braces use metal bands and wires to pull teeth into proper alignment from the outside. These tend to take some getting used to at first, and can be tough to clean. They are readily visible when you open your mouth, and carry the unfortunate stigma of being for kids. However, they are the braces of choice for more extreme dental conditions, as they are durable and more forceful, taking a shorter time to complete treatment of seriously misaligned teeth. Ceramic braces are like metal braces, only with ceramic tooth-colored bands to make them less visible. Otherwise, they are much the same as metal braces in their functionality, usable for more serious alignment problems. However, they require a little more care to use in order to avoid staining. Though not a traditional set of braces, the ClearCorrect alignment system serves the same purpose as metal braces. They are far less noticeable than metal braces and provide a gentler alignment process that is virtually painless. In general, this system will correct alignment quicker than metal braces, except in the case of extreme misalignment, in which case you may not be able to use ClearCorrect. These need to be adjusted every few weeks, and are freely removable, though they should only ever be taken off when eating and brushing. To find out what braces you need for your dental alignment, call or make an appointment with Dr. Saeed Ahmed at Alpha Dental in Nashua to discuss your options. Teeth whitening is a particularly hot topic in dentistry, and likely always will be. Everyone wants their pearly whites to be, well, pearly white. But with all the products out there advertising teeth whitening, it’s difficult to really understand what works and what doesn’t. We here at Alpha Dental Family Dentistry in Nashua can help you prioritize your options for teeth whitening. You need to find out what it is that’s affecting your tooth color first, be it enamel degradation or staining through drinking caffeine or eating dyed foods. Starting with the right diagnosis is crucial to finding out what you need to eliminating that unsightly yellow color, or just making sure your teeth are as bright as possible. 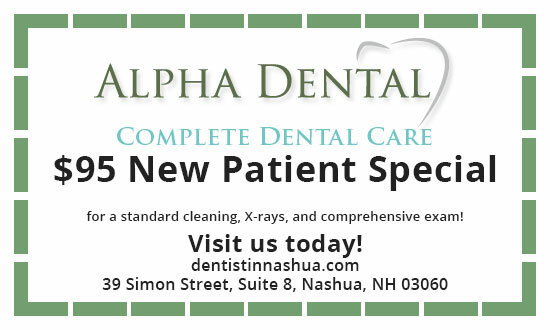 Dr. Saeed Ahmed with the team at Alpha Dental in Nashua will be able to give you specific recommendations and prescriptions on products that our knowledgeable team has proven to work with results over the several years of practice. We will be able to give you insightful recommendations for practices and products specific to your mouth’s needs. Teeth become yellow primarily because of changes to the enamel surrounding your teeth. The enamel layer is naturally white; you’ll notice that kids’ teeth are bright white when they first come out, coated in plenty of undamaged white enamel. Over time, naturally, the protective enamel will degrade to reveal the under layer, dentin. Dentin is, depending on heredity, naturally yellow or bluish grey, and will discolor the look of your teeth if too much enamel is degraded. You can slow this degradation at home by avoiding highly acidic foods like sodas that react with the enamel cause it to thin. Very many foods and drinks, like wine, coffee, candies, and curries can stain your tooth enamel and dentin. This is especially true if hard candies are left in your mouth for an extended period of time. You might note that all of the above normally leave lasting stains on your clothes or your carpets when spilled on them, and this is a good indicator for what you should try to avoid eating too often. Another serious cause of teeth yellowing is unfortunately something that should be the easiest to solve: bacterial plaque. Plaque is a thin, slimy film of bacteria on your teeth and gums that feeds off of both your enamel and the food you eat, especially simpler sugars. Plaque builds up when your brushing schedules are irregular and not thorough enough, often in places your brush might not be able to reach. Unfortunately, many people may not take brushing their teeth as seriously as other alternatives, or might just not have the time to have a rigid and consistent schedule. But if you care about the whiteness of your teeth, and overall oral health (which everyone should! ), establishing a disciplined and thorough brushing schedule at least once after every meal is the best practice for keeping your teeth shiny. Brushing teeth after meals helps quickly and thoroughly wash away any potential corrosive food particles that will damage your teeth if left in your mouth all day. Flossing is also extremely important for getting rid of plaque, especially in places where brushes can’t reach. This doesn’t have to be done nearly as often as brushing, but should still be done at least once per day to ensure you’re getting all of that plaque out of your gums and teeth. Dr. Ahmed and our team can suggest different brushes, toothpastes, and other products to help with this based on your situation. Don’t go blind into caring for your teeth. Ask us for help, it’ll make things easier. Sometimes, when you’ve tried all your home remedies for teeth whitening and established all your good practices, your teeth just aren’t shining the way you want them. If this sounds like you, Dr. Ahmed and his team might recommend the Zoom Teeth Whitening system to get your teeth positively glowing. This is a cutting edge new cosmetic whitening technology with lasting results, though it’ll require repeated visits and regular checkups at the office. Zoom whitening more often directly produces visibly whiter teeth within just one session at the office. Feel free to call or make an appointment to discuss more strategies for whitening your teeth with our team at Alpha Dental in Nashua, NH, and our friendly and professional team will make sure you’re happy with how your teeth shine. Just remember to brush your teeth before coming.